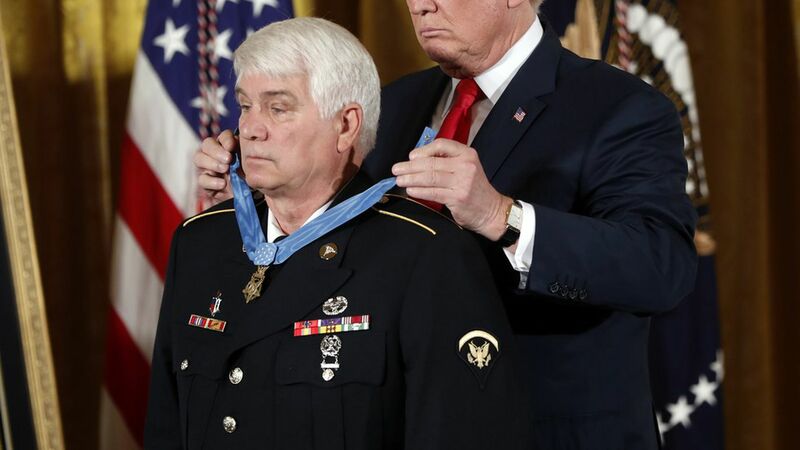 President Trump presented the Medal of Honor Monday to Vietnam War Army Medic, Specialist Five James C. McCloughan, who rescued 10 American soldiers and tended to countless others while wounded in 48 hours of close combat in 1969. The United States has overcome many threats "because of titans like Jim, whose spirit could never be conquered," said Trump. "We are in awe of your actions and your bravery."